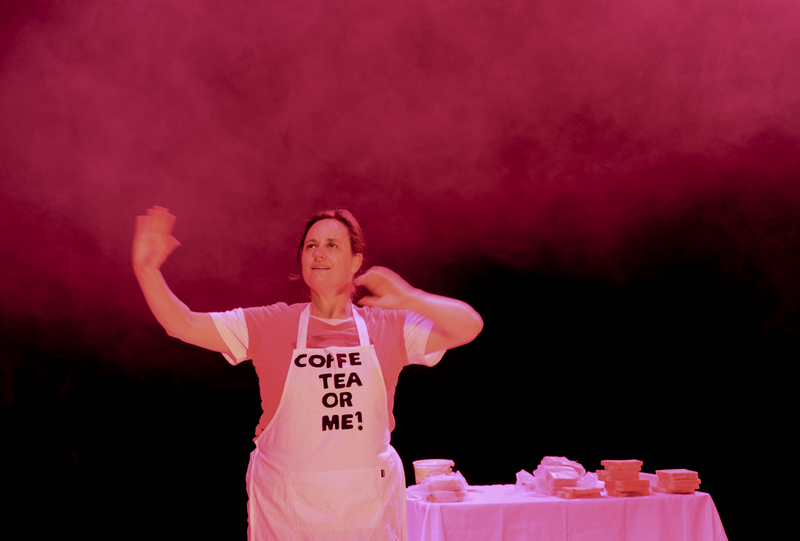 A one hour, solo performance, Something In the Way She Moves: everyday dances for an invisible woman, created and performed by Julie-Anne Long. Presented at Carriageworks, Sydney, 14-17 November 2012, by Performance Space, one of Australia’s leading organisations for the development and presentation of interdisciplinary arts, as part of the SEXES season of visual and performing arts exploring sexual and gendered identities in Australia. This solo was the culmination of a prestigious two-year Australia Council Fellowship ((2008-09), $90,000), which encompassed research and development of ‘The Invisibility Project’, focusing on female representation in live performance. Receiving an additional New Work Presentation Grant from the Australia Council, ((2012), $27, 580), the solo explores and heightens the visibility of the older female performing/dancing body. This work contributes new knowledge on performance through an innovative combination of approaches from dance, cultural and gender studies. Although a highly trained dancer, my body is the antithesis of the idealised representation of the mainstream dancer, one who displays impressive physical skills and should be strong and youthful. My solo work, precisely because it embodies difference, challenges normative understandings of the dancer’s body. My performance poses, and answers, the research question: How can I, through the age and shape of my body and its repertoire of everyday tasks and found movement, destabilize audience’s expectations with regard to conventional understandings of how a dancer should both look and perform?